Russia will spend 25.7 trillion rubles ($391 billion) on carrying out President Vladimir Putin’s expansive promises to overhaul Russia’s economy by the end of his last term in office, according to a new government estimate, News-24.ru reported. After his inauguration last May, Putin outlined plans to spend at least 8 trillion rubles on infrastructure and social issues until 2024. Some of the goals set in his 17-point executive order, known as the “May Decrees,” include halving poverty and turning Russia into a top-5 world economy, while investing heavily in healthcare, education, and infrastructure. The 13 national projects created to accomplish the president’s goals will cost 25.7 trillion rubles over the next six years, according to a plan published on the government’s website on Monday. 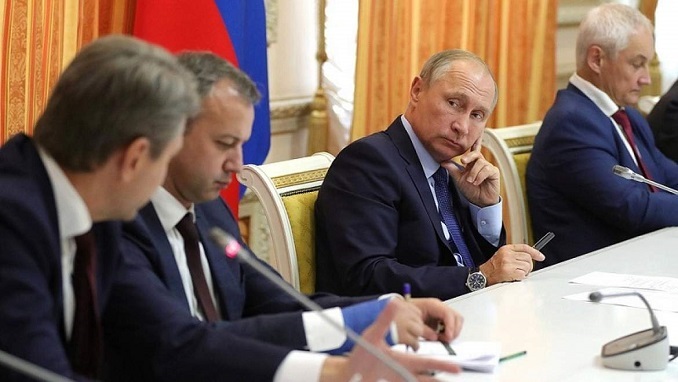 Putin’s May Decree May decree implies an increase in the duration of lifespan up to 67 years, a decrease in traffic congestion by 10%, a rise in housing construction by 120 million square meters per year and the achievement of many other indicators.